We all need crystal clear waters, salty swims and lashings of sunshine in our life. 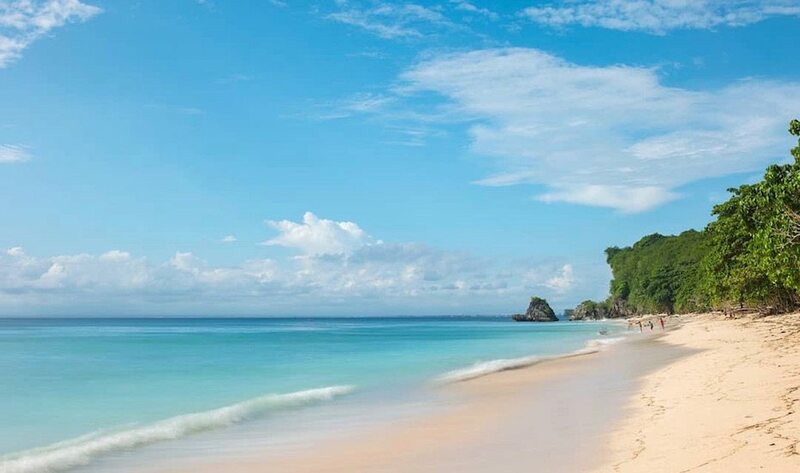 So grab your bikini and get ready to lounge - here are Bali's best beaches for your sun-soaked bucket list. Salty hair, sun-kissed skin and that book you’ve been dying to get stuck into for months – beach life doesn’t get much better than that, right? Well, here in Bali, we like to add in a few sunset cocktails to our palm-studded seaside hangs, a couple of postcard-perfect paradise bays, world-class surfing and a never-ending lineup of watersports to keep the kiddos busy, because Bali is blessed with countless sandy adventures, and we’ve taken the liberty to explore the very best of them (someone had to do it…). So pack your sunscreen and your fave bikini, wrap up your sarong and prep your hottest summer playlist, because you’ll want to tick off Bali’s best beaches on your island escapades, from secret bays with the ultimate surf waves, to the most family-friendly waters and dreamy diving destinations. Holiday mode is officially on! 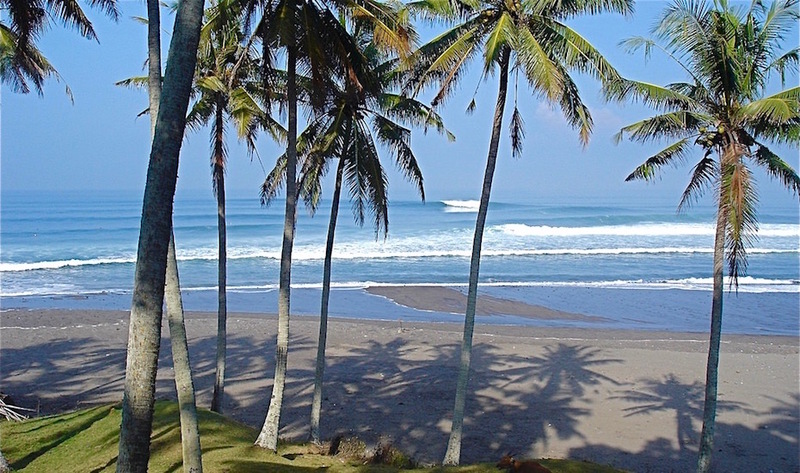 If you want to be in the heart of Bali’s oceanfront action, then Seminyak Beach is the place for you. Along this impressive 5km stretch of powdery white sand, you’ll find beach bars aplenty, five-star hotels and restaurants just footsteps from the waves, and world-famous beach clubs dotting the sand. 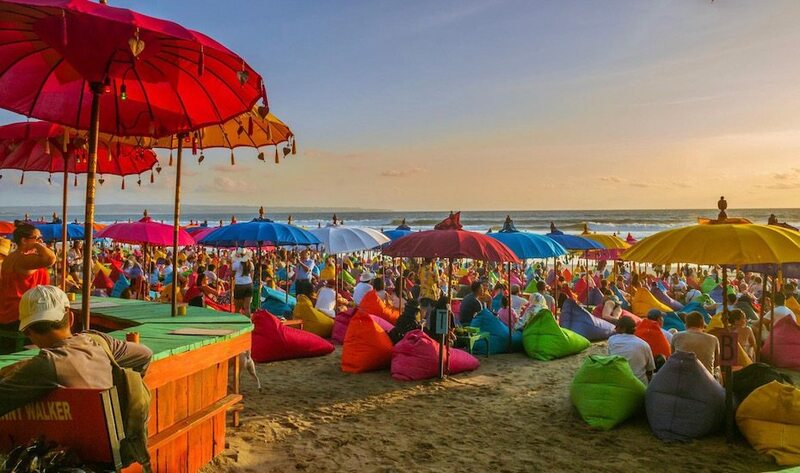 Beginning on the outskirts of crazy Kuta, trailing all the way up to the coastal corners of Canggu, Seminyak Beach is a holiday destination in itself. Learn to surf in the gentle whitewash of the waves, soak up the sunshine on a squishy sun bed, or settle into a comfy, colourful beanbag at La Plancha for a round of sundowners – Ibiza-style beats included. A seemingly endless stretch of powder white perfection, Nusa Dua Beach is so flawless, it almost looks manmade. 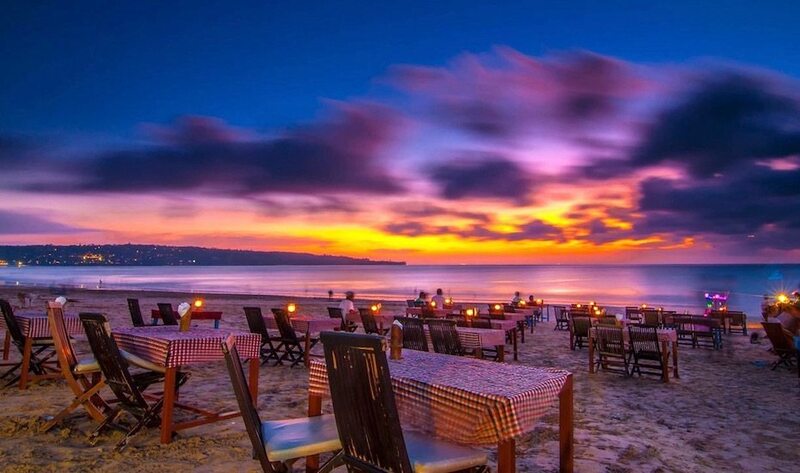 It borders the coastline of Nusa Dua’s resort area, fringed by manicured lawns and five-star hotels that have been tastefully sheltered by palm trees and natural building materials. Not only are the beaches impeccably clean and the waters calm, the shoreline is full of family-friendly restaurants, watersports and even a shopping complex, so it’s the ideal destination for a fun-filled family day out that won’t leave the little ones hot and bothered thanks to plenty of places to cool off and recharge. 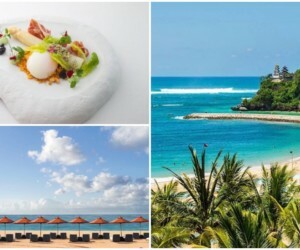 What was once the go-to destination for a romantic beachfront barbecue has now become one of the coolest oceanfront spots to see and be seen. 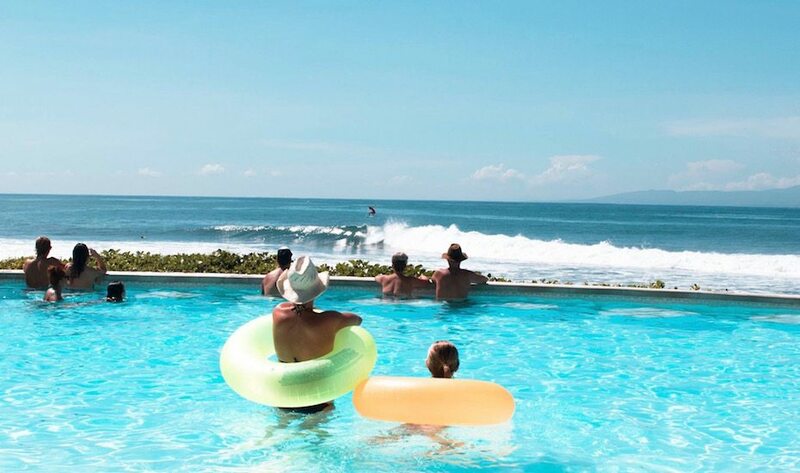 Echo Beach is the watering hole of Canggu (quite literally) with countless surf spots in every direction and shabby-chic bars dotted along the black sands to enjoy the views. And what a view there is. 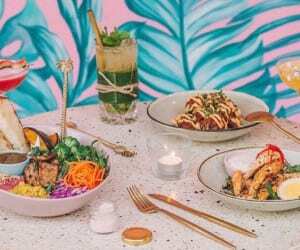 Expect beach babes in their Brazilian-cut bikinis, scruffy haired surfer dudes with sun-kissed bods, and beloved Bali dogs with their expat owners taking a sunset stroll. This lively, community-vibe coastline goes from a playground of sun and surf by day, to a wild party spot by night. Bring an acoustic guitar for extra street cred, and don’t forget the dog treats. 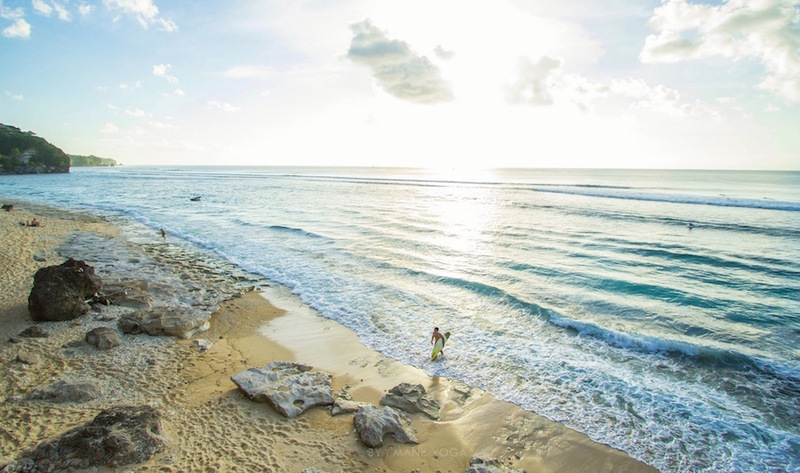 This long, expansive, soft white sand beach is not only well known for its gorgeous scenery (the glittering sands stretch for a full 3km), but also as the spot where local fishermen sell their fresh-from-the-net fish each morning at the bustling markets. As the island’s seafood hub, it’s no surprise then that you’ll also find a number of beachfront barbecues dotted along the coastline, cooking up the day’s catch for your grazing pleasure as the sun sets. For a romantic seafood dinner, head to the bay before dark and choose your ocean treats from the display to devour just a few minutes later, or if it’s sunshine you’re after, find a quiet spot away from the stalls and enjoy the calm waters from dawn until dusk. 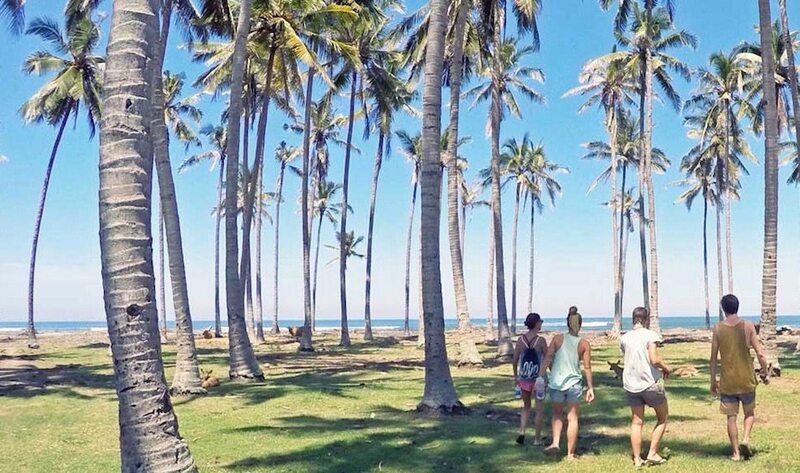 Located in the South of Bali on the Bukit Peninsula, Balangan Beach is best known amongst the island’s surfing crowds and those looking for a laid back beach experience without the throng of touristic beach clubs. 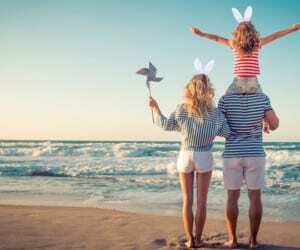 Ocean babies can enjoy the aquamarine waters at high tide, and sunbathers can lie beneath the many loungers and umbrellas that line the sandy beach. This quiet strip is still fairly underdeveloped with just a few local warungs serving home-cooked Indonesian food and icy cold Bintangs, and since it’s blessed with awesome waves for both beginners and pros, Balangan attracts the surfy, backpacker types who prefer cool tropical vibes over a pumping party scene. Looking for sandy, sunshiney exclusivity? Spend the day at Sundays Beach Club! 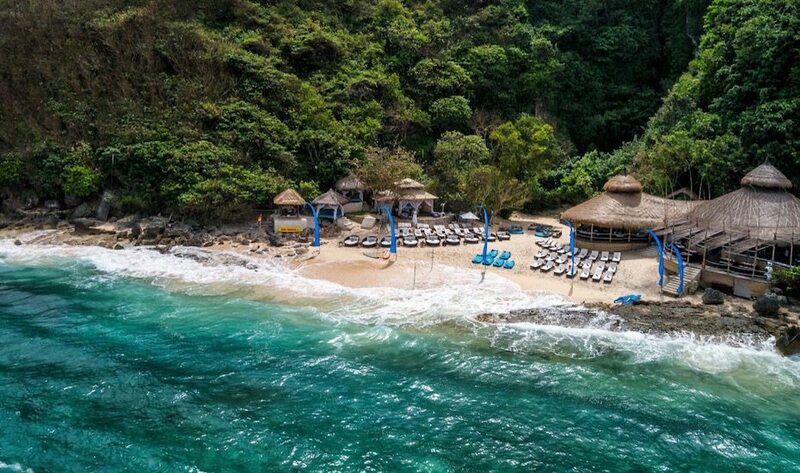 Another South Bali gem, Sundays Beach Club at the Ungasan Clifftop Resort boasts a private white sand bay, stunning turquoise blue waters and an offshore coral reef housing Nemo and his friends. Hidden discretely at the bottom of a dramatic cliff face, this paradisal spot can only be reached by an inclinator taking you directly to the club. Don’t miss the bonfires on the beach at sunset, and come hungry because you’ll want to tuck into Sunday’s delicious island-inspired menu by famed Aussie chef, James Viles. Just be sure to leave enough space for some serious water-based frolicking, like snorkelling, stand-up paddle boarding and kayaking the crystal clear waters. You might recognise this beautiful bay from the ever-famous “Eat, Pray, Love” movie, where Julia Roberts falls head over heels for her Brazilian hunk. Chances are, you’ll fall in love here too, not only with the bronzed surfer crowds, but with the calm cove-like waters rolling off the bright white bay, framed by dramatic rock formations and bordered by world-class waves. 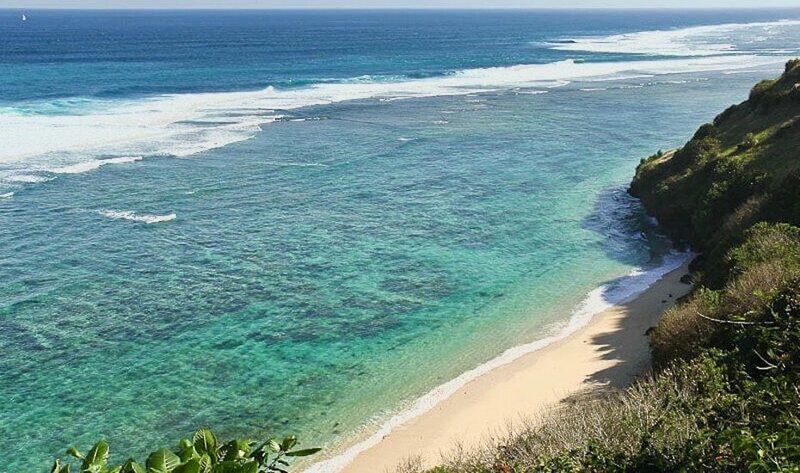 Though Padang Padang is a relatively small beach about 10 minutes north of Uluwatu, the setting is simply stunning. The best time to visit is early in the morning around sunrise when you can see Padang Padang in all its dazzling, natural glory, and before the throng of visitors descend on this spot in the hope of spotting Ms Roberts. 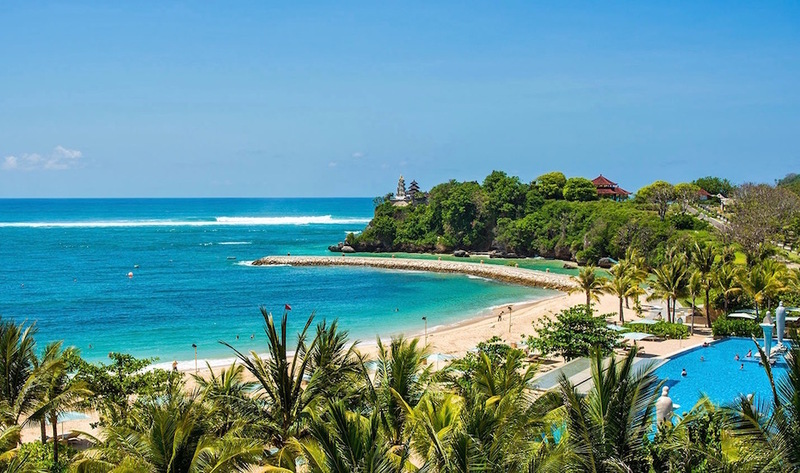 The clue is in the name here – Blue Lagoon on Bali’s eastern coast is an azure, beachy bay with calm waters, white sands and a palm tree backdrop. The epitome of paradise if you will. On either side of the lagoon, you’ll find rocky hills and lush knolls, perfectly framing the bay for those all-important holiday pics. In the heart of the lagoon, snorkelling and dive boats are on the lookout for Nemo, because beneath the aquamarine ocean, Blue Lagoon is home to buzzing coral reefs and teeming underwater wildlife – quite the contrast to the secluded sands and quiet nooks on the shore. 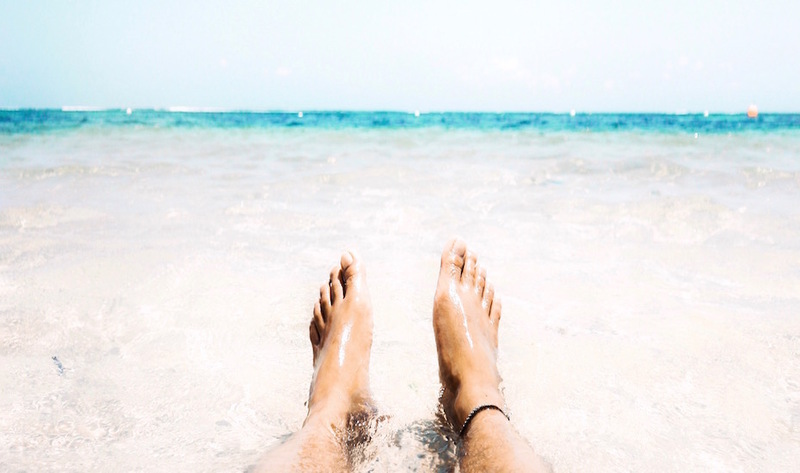 And for when you’re ready to beach-hop some more, Blue Lagoon is right next door to the Padang Bai harbour, where you can hop on a boat to the Gili Islands, Nusa Lembongan, Lombok & more! 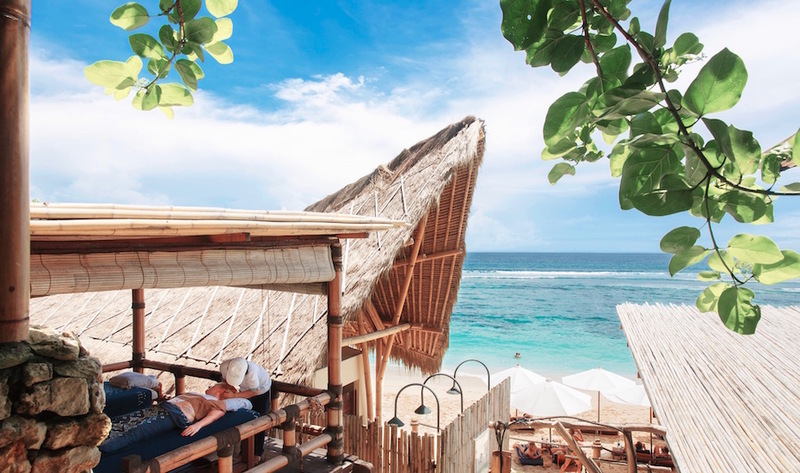 In prime position along Bali’s sunset coast, Medewi is a lesser known beach on the west side of the island that offers a glimpse of Bali before tourism struck. With remote villages and wide open rice paddies lining the palm-studded coastline, come here for a tranquil escape not an action-packed day at the beach – that is, unless you’re a keen surfer. Flocked mostly by visitors in search of uncrowded, world-class waves, Medewi is an isolated surfing destination that doesn’t require a flight to get to, but is far enough away from the crowds to guarantee a quieter sesh in the water. Stick around for golden hour, as that’s when Medewi’s magic really shines…. This dreamy destination might well be directly below the famous and bustling Single Fin bar and the main access point to the world-renowned Uluwatu surf break, but come low tide, this spot at Suluban Beach is a true hidden treasure, and the best for a secret swim. Set against stunning dramatic cliffs, the water here is as turquoise as it gets. To access this little piece of paradise, you’ll need to walk down the steps at Uluwatu, through the caves and onto the sand. Remember, when it’s high tide this swimming spot is inaccessible, so you’ll need to check the tide times for your trip here, and don’t forget to pack your bathers. If it’s a leisurely day out at the seaside that you’re after, then head to family-friendly Sanur for an easy-breezy day at the beach. 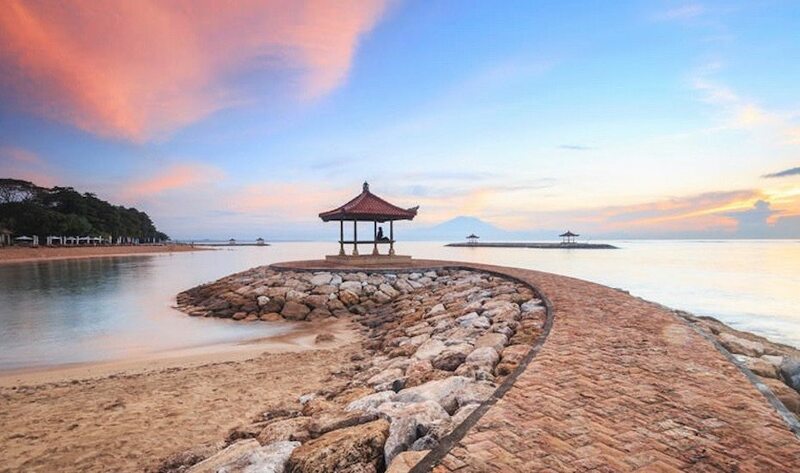 Besides its seemingly never-ending stretch of white sand, Sanur’s main beachfront attraction is without doubt the coastal promenade that extends over 5km long. This ocean path curves past resorts, beachfront cafes, wooden fishing boats under repair and quite a few elegant old villas built decades ago by the wealthy expats who fell under Bali’s spell. Take a romantic stroll with your partner, or get some exercise on a bicycle with the family – best enjoyed early in the morning as Sanur is in prime position for spectacular sunrises. Part of the stunning Karma Kandara resort, this luxury and private beach spot brings the vibes of a swanky Mediterranean island, along with crowds of trendy globe trotters looking for exclusivity in a totally chic setting. The sea is a perfect shade of azure blue and great for snorkelling and water sports, while the crescent white sands are sprinkled with beach babes and their baes sipping on designer cocktails, playing a spot of beach volleyball, or simply bronzing beneath the beach-chic cabanas and tucking into delicious wood-fired pizzas from the natural bamboo restaurant. Heaven really is a place on earth. Take a trip away from the beaten path to Pasir Putih Beach – you won’t regret it! Pasir Putih, also known as White Sand Beach or Virgin Beach, is a remote, off-the-beaten-path beach that rewards the most adventurous of road trippers. 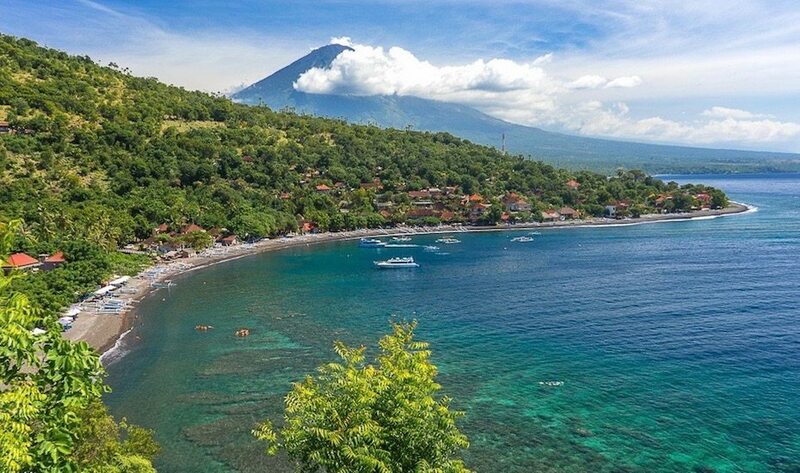 It’s located on the East Coast of Bali, near to the village of Candidasa, and with its pristine soft white sands that dramatically contrast to its volcanic black sand neighbours, it seriously stands out. When you see the “white sand beach” sign, follow the dirt track until you reach the carpark. You’ll spot the line up of local seafood BBQ stalls (perfect for a sea view lunch) and the calm, clear waters that make White Sand Beach a lovely spot for swimmers, too. Look out for the signs made of recycled wood, or follow the small groups of Bali’s cool crowds with surf boards in-hand and the lack of shoes or sandals on their feet. Bingin Beach is a boho hideaway that’s hard to find unless you know where you’re going – or who to follow. 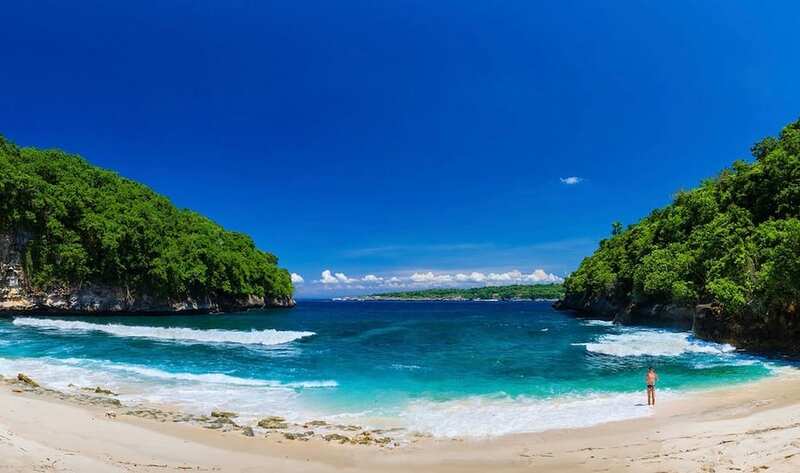 With perfect waves and small sandy coves for swimming at low tide, this cliff-base beach is a favourite for Bali’s sun soakers and surfers. You’ll need to be relatively fit to get to and from the beach (there are uneven, rocky steps from the top of the cliff to the sands), but your efforts will certainly be rewarded. Dozens of affordable beach stays line the cliffside too, making this a good spot for budget trips or a good old, no-frills sunset Bintang on a blanket. There are some great healthy cafes here too, perfect for a post-surf refuel and insta-ready sunsets. Gunung Payung, once known as Secret Beach, is the epitome of a picture-perfect, postcard paradise. 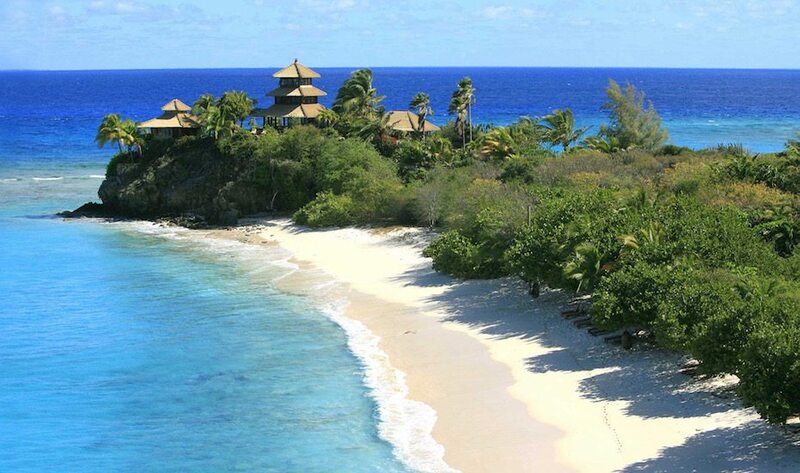 Think powder white sands, warm tropical waters that are as flat as a duck pond at low-tide, and a lush green backdrop that feels like you’re at the edge of the world. What was once a treacherous 301 step trek up and down (we counted) now has a smooth road carved down the cliff for easy access. You’ll also find plenty of sunbeds, spots for refreshments and umbrellas to keep cool. This one’s well worth a visit. 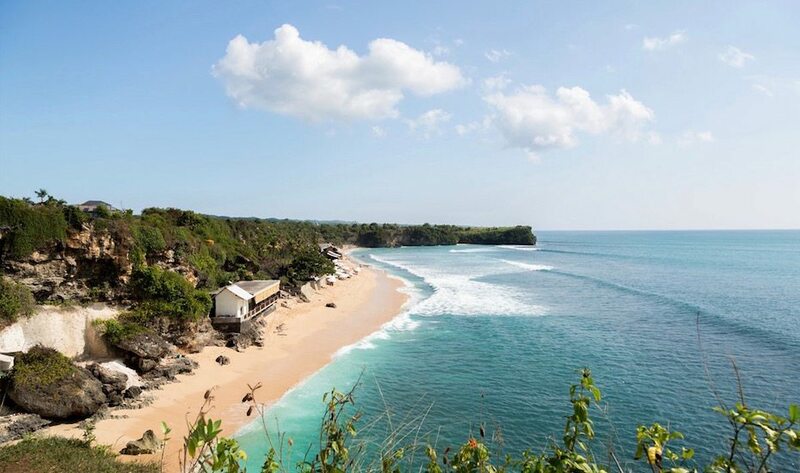 Ever since the opening of some cool Uluwatu restaurants at the top of this hidden bay, Thomas Beach is no longer a secret – though it’s still one of the quietest beaches in the Bukit. Accessible only via a gravel lane and then a winding set of crumbling stairs, this secluded strip of white sand beach is well worth descending down for. Fringed by turquoise waters and dramatic boulders that protrude from the sand, this is postcard-perfection to a tee. Bring a sarong and some water to stay hydrated, because you won’t find any restaurants or squishy sunbeds on this remote shoreline. 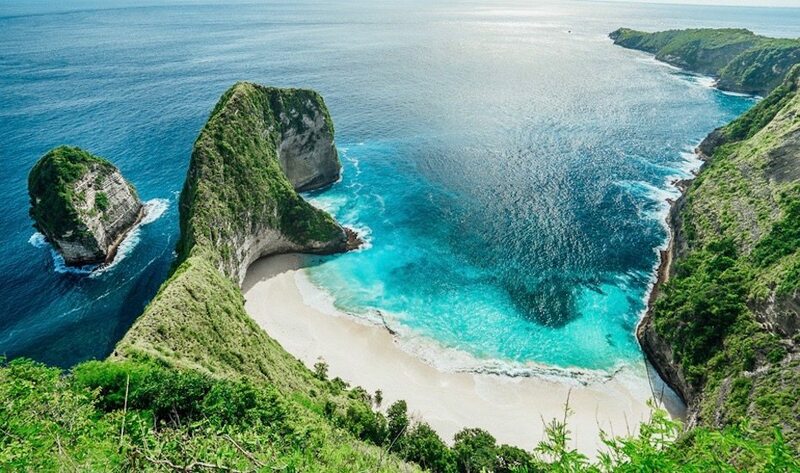 That iconic beach vista seen on every Instagram feed can be found on Nusa Penida! We’ve all seen that iconic pic of the emerald green cliff-line soaring into the sky from the turquoise waters below. 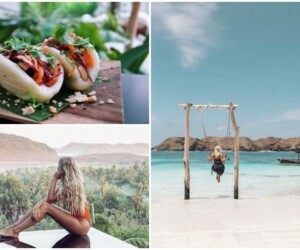 Well, that Insta-famous spot is located on Nusa Penida, the neighbouring island to Nusa Lembongan and just an hour’s boat ride away from mainland Bali. 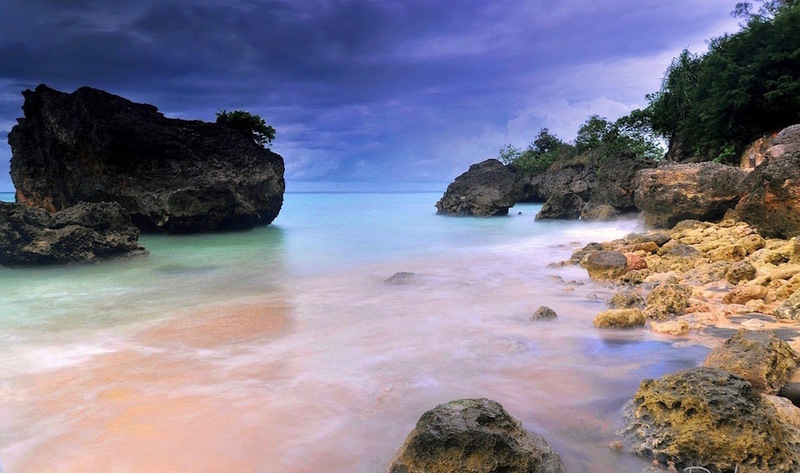 Much less built-up compared to Lembongan, Nusa Penida is for adventurous souls only. Expect dirt-track roads, hidden bays, local eateries and untouched landscapes – all in their pure raw beauty. Head to Kelingking Beach to get that all-important Insta shot, but make time to explore the rest of the island too – it’s worth it.